As we begin a new year, we reflect upon what grounds us in our work, as well as what excites us about our future. 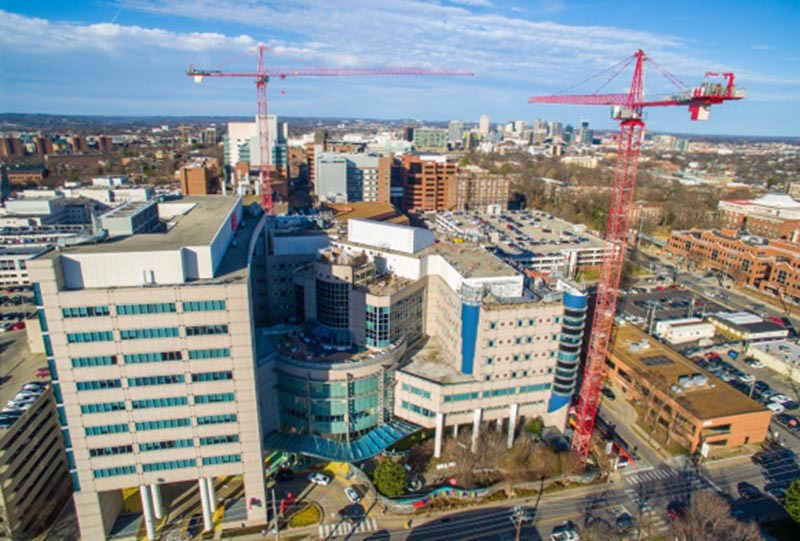 Our mission at Monroe Carell Jr. Children’s Hospital at Vanderbilt is to serve children of all ages and their families with programs tailored to meet their needs and designed to support their health and well-being. We start this year eagerly anticipating our move into our first two new expansion floors — supported by the Growing to New Heights Campaign — and planning for other internal program transitions that the additional space allows. Every year, we treat over 250 patients with a new or relapsed diagnosis of cancer. This number grows a little every year. These patients come to us because of the multidisciplinary treatment options we offer — both as standards of care, but also as research protocols. To better accommodate the needs of these patients and our distinctive programs, we plan to reconfigure some of our clinical areas. Through the generosity of donors, we will develop space to better support the unique needs of adolescents and young adults with cancer. Through the tireless energy of our Children’s Hospital Advisory Board leaders Allison DeMarcus and Kailey Hand, we are launching a new childhood cancer campaign that will result in redesigned clinical space to serve both outpatients and inpatients. And through the eyes of a remarkable young lady, Lily Hensiek, and her family, we share how the passion to find a cure for cancer has led them to support both research and training of future pediatric oncologists. In addition to our growing cancer service, we celebrate our evolving liver transplant program. Liver disease in children most often arises from other conditions — genetic or anatomic problems present from birth or because of treatments or the duration of other chronic diseases. We share how liver transplantation became life changing for young Wyatt Nickle. As a regional comprehensive center for children’s health care, it is equally important to our mission to extend our efforts into the community through advocacy and programming to improve the health and well-being of our pediatric citizens. We celebrate 10 years of the Nashville Collaborative, a joint effort between our Children’s Hospital teams and Metro Nashville Parks and Recreation. The Collaborative is a wonderful example of taking research questions into the field, resulting in the design of successful programs that help children live healthier lifestyles in the fight against childhood obesity. What links these stories of innovation is the generous support and true partnerships that we have within our community. Through our unique clinical programs, our innovative inquiry and discovery and our commitment to education — all supported by our community — we are truly a place of healing and hope for our patients and families. What a great way to start another exciting year of growing to new heights and embracing novel opportunities.